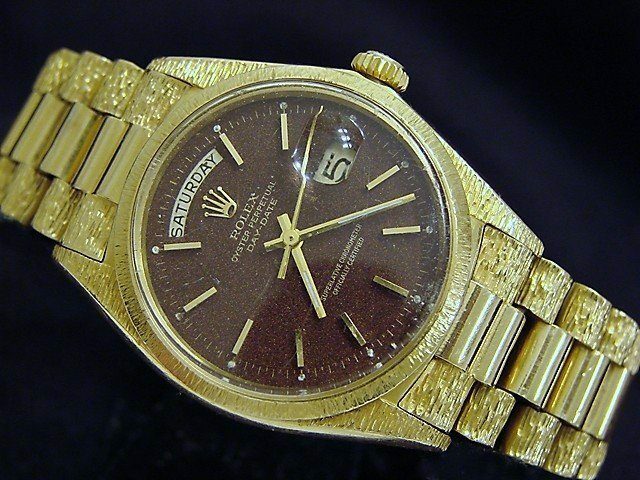 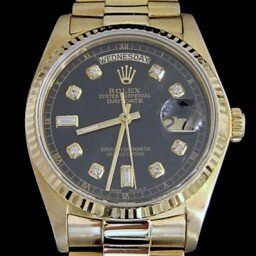 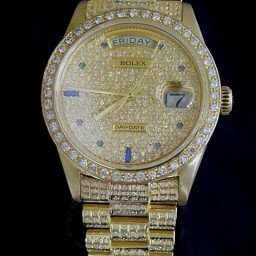 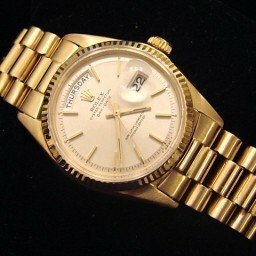 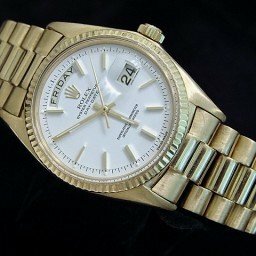 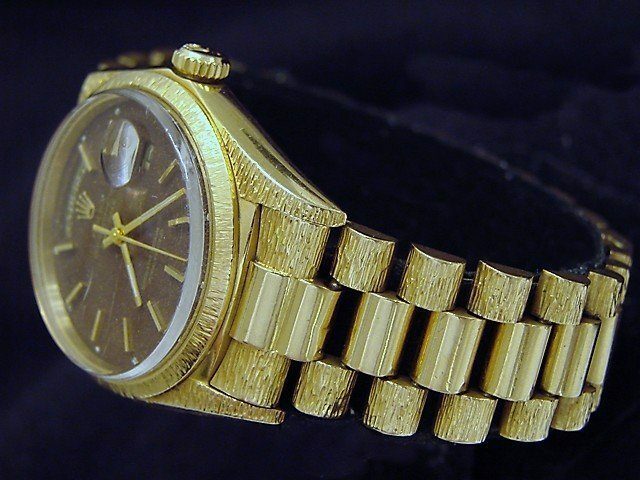 Dial Rolex brown dial with raised 18k yellow gold stick markers is in pristine condition. 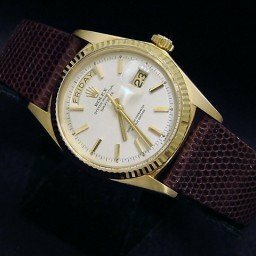 This dial has a very unique finish that is nothing short of amazing…just look at the pictures! Case Rolex solid 18k yellow gold case is in excellent condition. 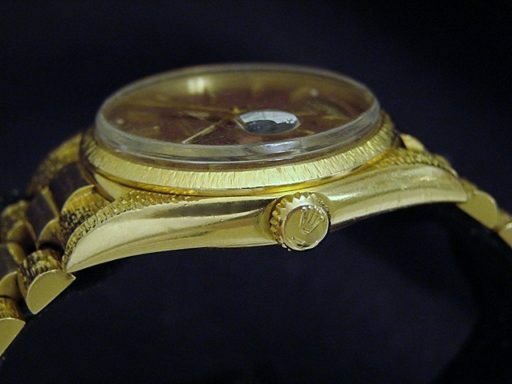 The lugs have the special bark finish on them. 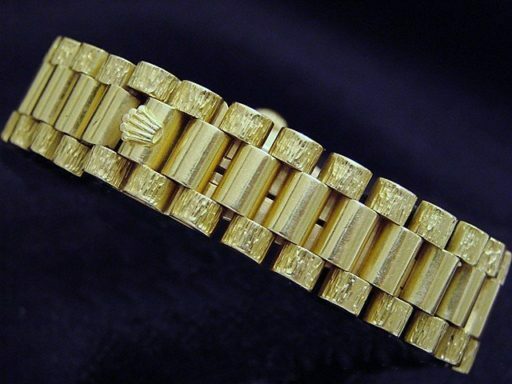 Band Rolex solid 18k yellow gold presidential bracelet with Rolex signed hidden clasp is in fair condition with loose stretch between the links and the signs of daily wear from the original owner. The outer links have the special bark finish.